Meet who’s inducted at our Nov. 2 Homecoming Party! Amherst-area hotels will SELL OUT during the summer. BOOK NOW if you prefer Hotel UMass or hotels along Route 9 in Hadley. Please consider using iGive to book a room. We’ll will be paid a (free to you) bonus, based on the price of your reservation. Alumni Band participants receive one (1) free game ticket. Does NOT include parking. Alumni Band participants should wear blue jeans and a maroon shirt. 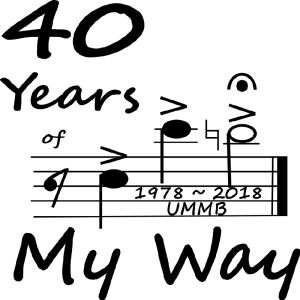 Join us for Homecoming 2018 (November 3rd) to celebrate the UMMB’s 40th year performing “My Way” as the Minutemen take on Liberty University! We’re planning a variety of family-friendly events you won’t want to miss: Spitfire/Colorguard Reunion, Band Alumni Tailgate, Alumni Band Halftime, and My Way at Postgame! Multibands was October 19th this year. Family & friends of Alumni Band participants will need to purchase tickets to the football game. Partnered/married band alumni who are each participating should register separately. Join fellow alumni on Homecoming Eve to celebrate the UMMB! And there’s A LOT to celebrate in 2018… the 40th Anniversary of “My Way”… a Spitfire Winter Guard Reunion (and relaunch! )… the 2018 Hall of Fame Class… and the 2018 Band Alumni Scholarship recipients. To top it all off, we’ll sing “Twilight Shadows,” accompanied by the Old Chapel bells! 8:30 Sing “Twilight Shadows,” accompanied by Chapel Bells! Reminisce with fellow band alumni and tour the George N. Parks Minuteman Marching Band Building! The Band Alumni Network volunteers will flip a hot stack of pancakes while we offer space for an informal rehearsal or sectionals in the band building! And watch the Baby Band rehearse! Let us know you’re coming via this Facebook poll. Join the tradition of the Homecoming Parade as it winds its way from McGuirk Alumni Stadium through downtown Amherst to the UMass campus on November 3rd. Families are welcome to march and play with the UMMB. Parade and halftime marchers will receive the 2018 souvenir Alumni Band lapel pin… FREE! Miss out on the 2017 pin? Order one today! Report at 10 am. Step-off at 11 am. Join us at our PREMIER tailgate zone, central to ALL Homecoming activity, including a concert by YOUR Minuteman Marching Band. BYOB and Potluck! Grills, tables, and tents will be available to cook your favorite tailgate dishes. Bring your favorite BBQ foods, drinks, chairs, and games! Please observe stadium parking procedures. We suggest heading into stadium at 3:00 pm to view UMMB Pre-Game Show. Join fellow alumni to play stands tunes during the game with the UMMB! Perform halftime ONE MORE TIME. 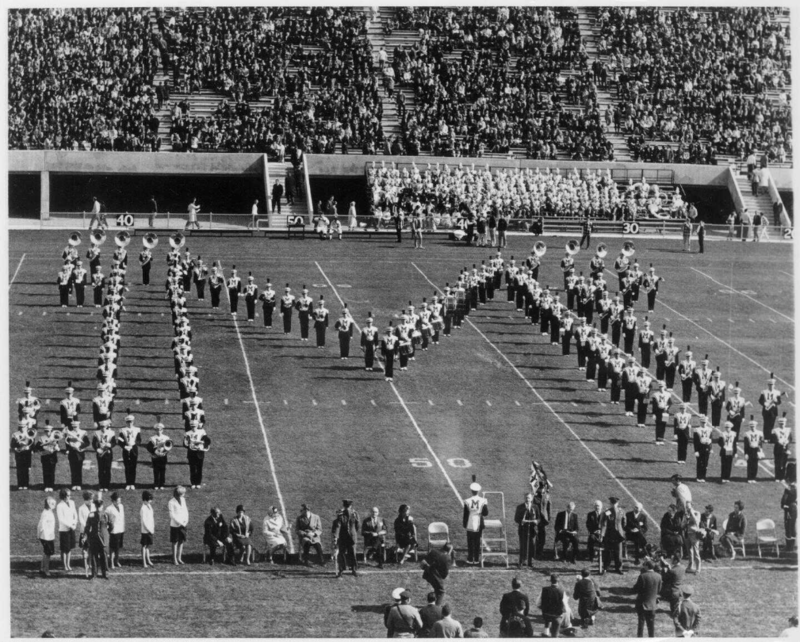 The 52nd Alumni Band will perform ‘My Way,’ ‘Fight Mass,’ and other favorites. The 2000-2009 decade won the “Battle of the Decades” Facebook Poll and chose “West Side Story” as our halftime music! The UMMB performed music from “West Side Story” in 1968, 1983, 1986, 1998, and 2004. Join all band alumni (and their families) on the field for a very special 40th anniversary singing of My Way at post-game. Order your commemorative “My Way” t-shirt!